No more renting for this East Van fan. 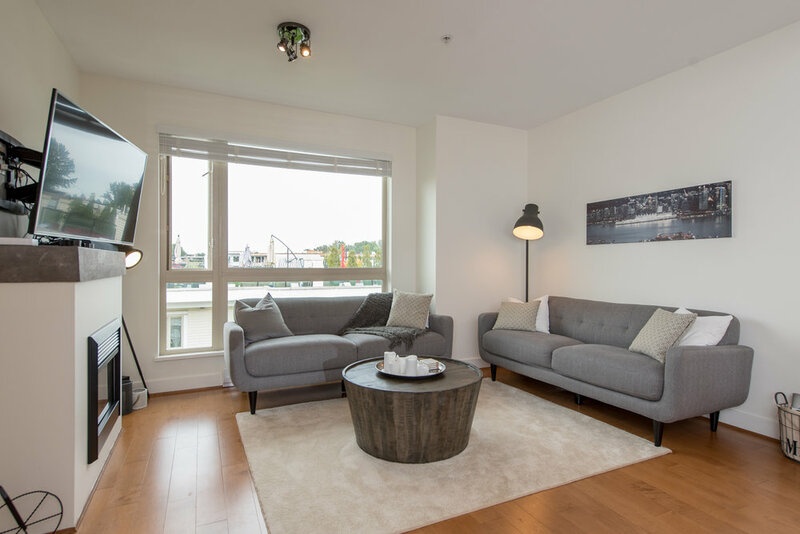 JUST SOLD 203-2255 Eton St., Vancouver, BC. This young professional was always a fan of the Hastings -Sunrise area. I was put to the task of finding the right place for the right price. 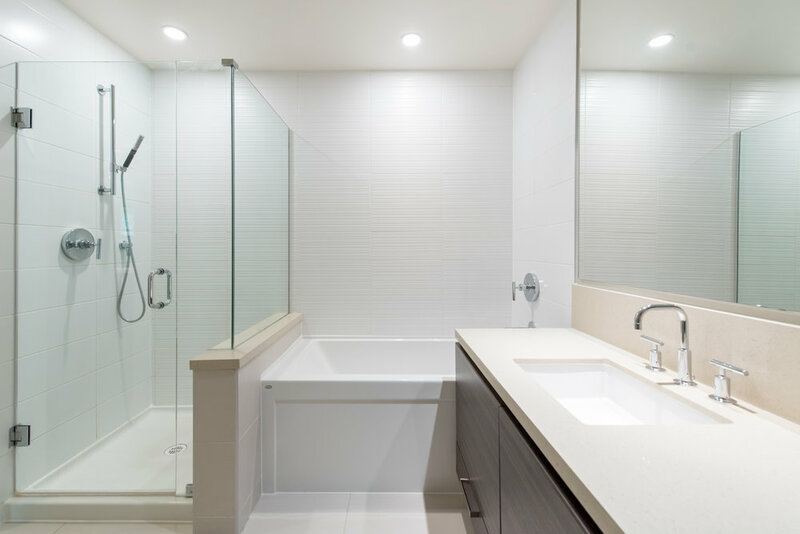 After narrowing our search, a beautifully renovated, one bedroom, one bathroom in a perfectly maintained building popped up to view and when my client saw it, all she had to say was "This is it!" 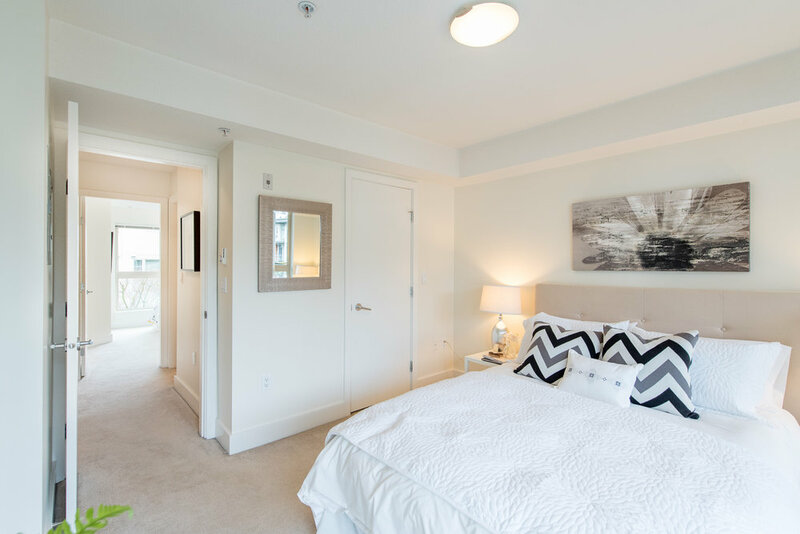 Just sold: 414-3606 Aldercrest Drive, North Vancouver, BC. 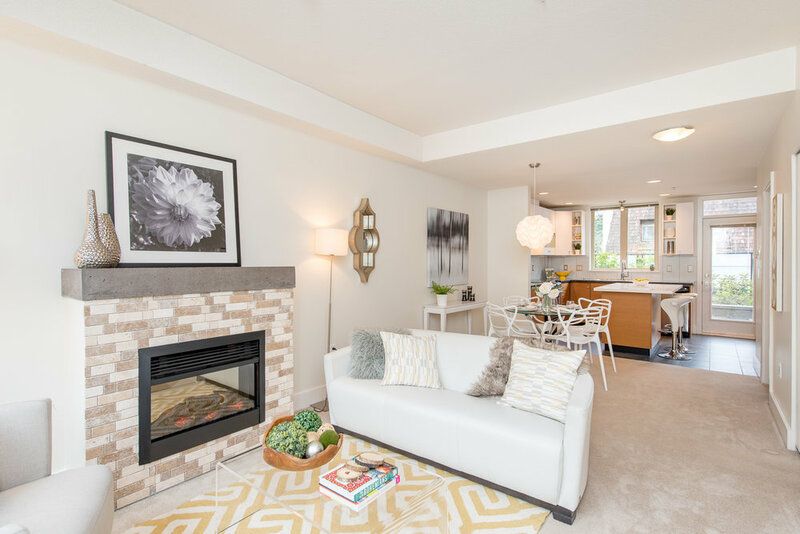 This large 1 bedroom and den is available in Destiny at Ravenwoods and has a beautiful view through the oversized windows of the lush green forest his unit has 9’ ceilings, large balcony, laminate floors, quartz counters and s/s appliances. Upgrades include gas stove, hood fan and Washer/Dryer. 4 piece modern bathroom. The building offers a fully equipped gym, clubhouse, bike storage and a dog wash area. 1 Parking and 2 Storage facilities. Roche Point Park right out side your door. North Van living at it's best. 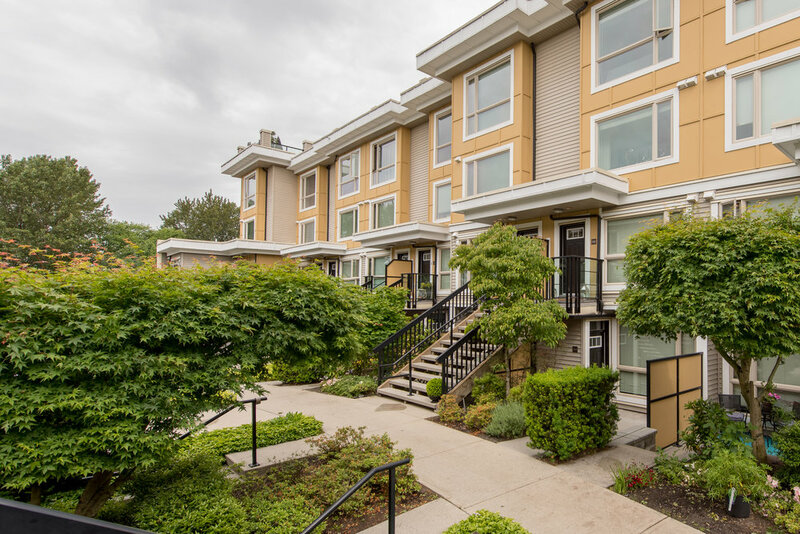 Just sold: 55-728 w.14th Street, North Vancouver, BC. Welcome to NOMA. Close to the ongoing facelift in the Hamilton area. 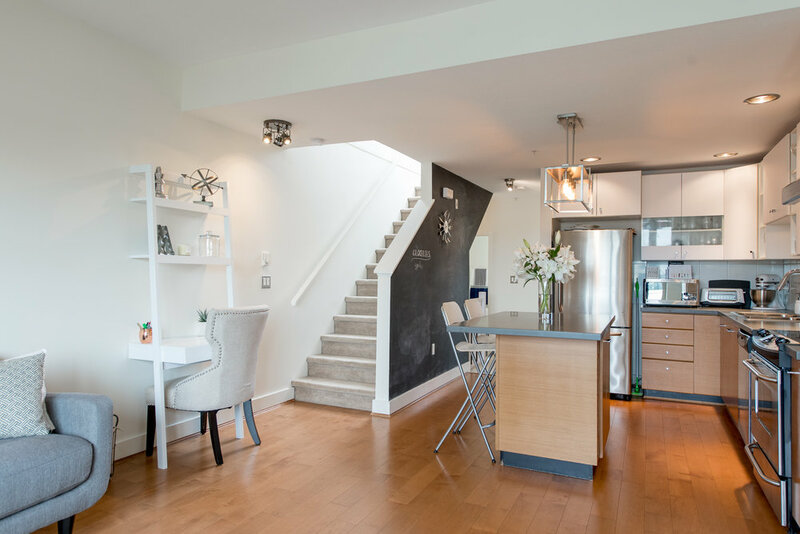 This town-home has 3 levels with an open plan living. Gas fireplace, dining area and kitchen equipped with stainless steel appliances and quartz/granite counters. Unbelievable rooftop patio for your outdoor living needs. Mountain and city views. 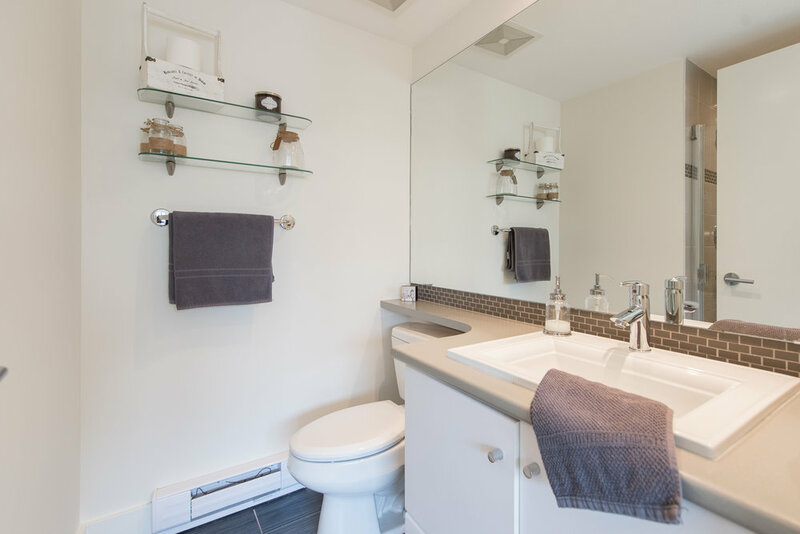 Lower floor has 2 bedrooms and both have ensuite baths, one with walk in closet. All windows have custom blinds and lighting upgrades. Shared gym, 2 secured parking spots and 1 storage locker. 1 pet & rentals allowed. Close to Mosquito Creek Park and Marine Drive is a block from the Noma entrance. Perfect for the professional couple needing a bit of space or a family on the horizon. Family of four upgrades to more room and a sweet backyard. 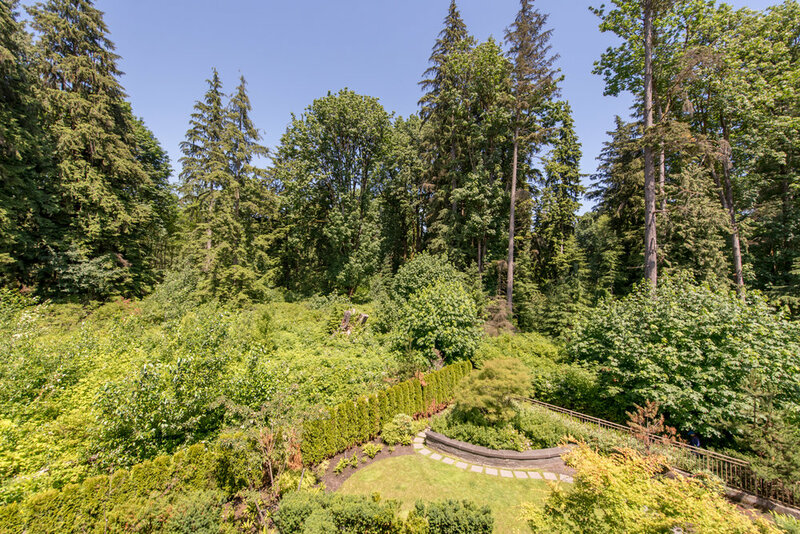 JUST SOLD 3449 Waymoor Place, Vancouver, BC. This backyard will be filled with a family of 4. Up sized from a 1 bedroom to 3 with a backyard for the kids. Close to schools and a couple of bathrooms so no one has to wait. Happy for this young couple to be able to live in Vancity. Congrats you two. Prepped for the rain but very happy about it. JUST SOLD 604-137 17th Ave, North Vancouver, BC. These two wonderful people just purchased their first home very close to upper Lonsdale and everything it has to offer. 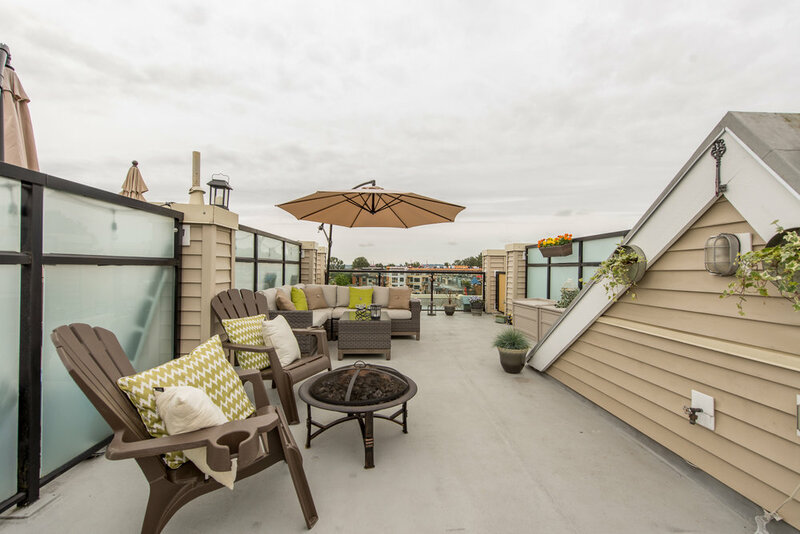 Their 743 square foot apartment has 2 outdoor patios, 1 bedroom and 1 bath an open plan with lots of storage. My clients are going to put their own touches on it and make it their own. Closer to work, bigger than their previous living space and it is all theirs. Mission accomplished. JUST SOLD: 44-728 w.14th Street, North Vancouver, BC. Welcome to NOMA in the Hamilton area. This south facing, one owner town home is at courtyard level. It has 2 levels with open plan living, gas fireplace, dining area & kitchen equipped with stainless steel appliances, wine fridge & quartz/granite countertops. One bathroom on lower floor. 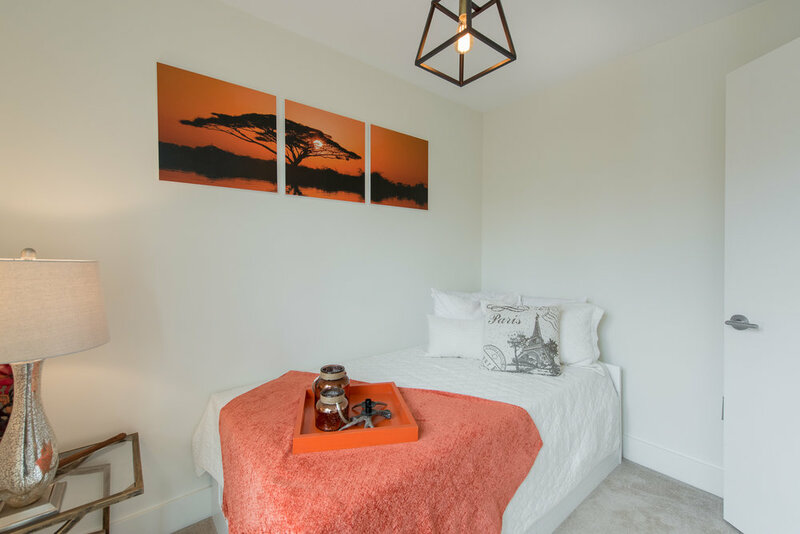 Upper floor has 2 bedrooms and a bathroom (semi-ensuite). All windows have blinds. South & North private patios. Shared gym, 1 secured parking spot & a large storage locker. 1 pet & rentals allowed. Mosquito Creek park is your backyard & Marine Drive is 1 block from the NOMA entrance. Perfect for the professional couple or small family. 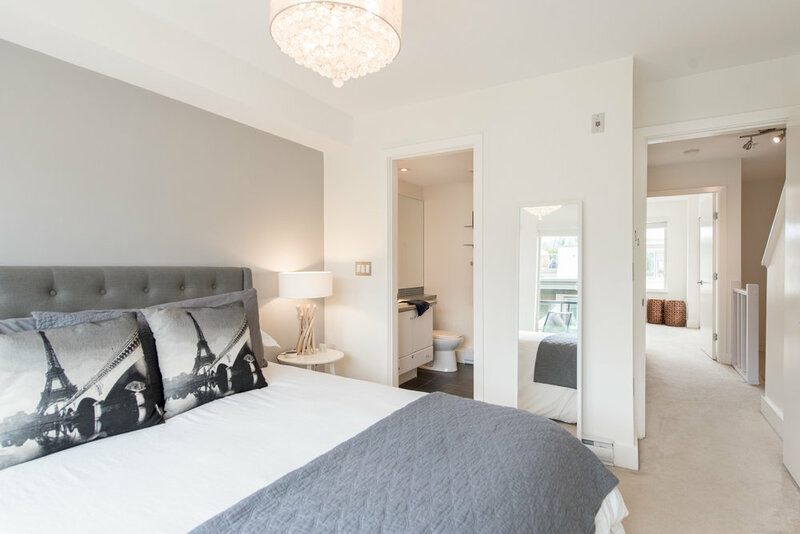 JUST sold: 427 Great Northern way, Vancouver, BC. JUST SOLD 427 Great Northern Way, Vancouver, BC. This is Canvas. 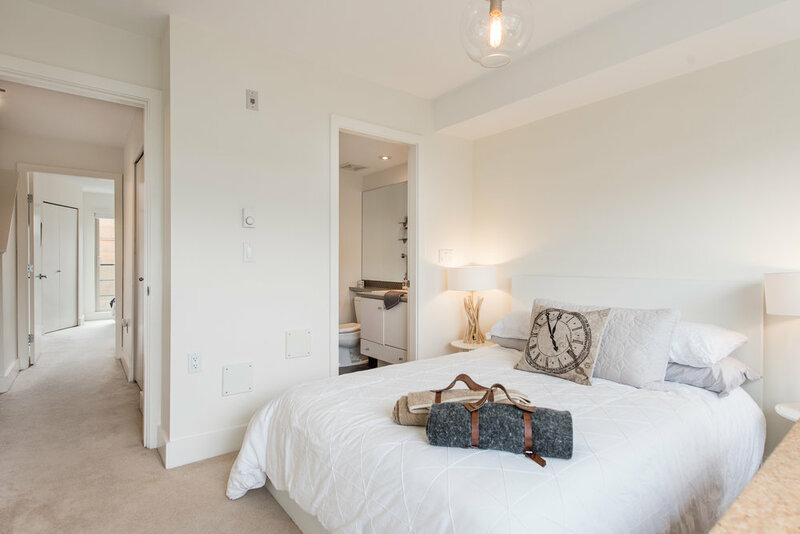 This bright East facing 1 bedroom corner suite has high ceilings that produce great natural light. 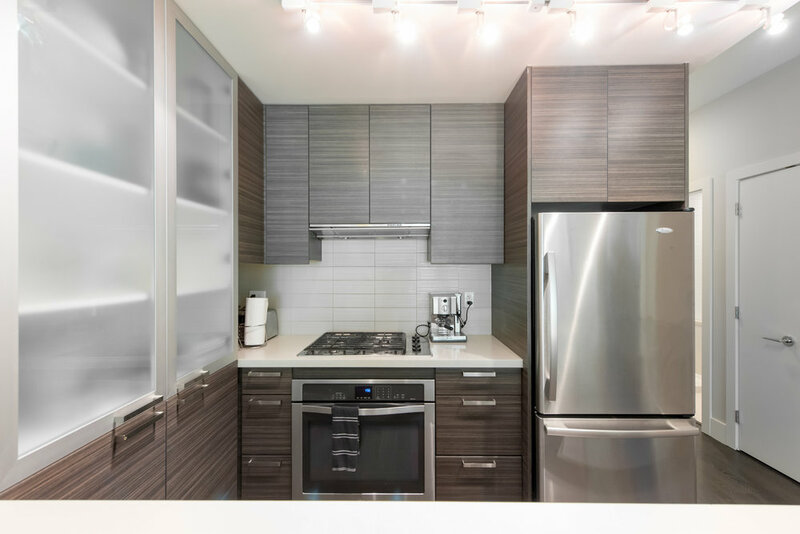 Great amenities, Kitchenaid Pro series steel appliances, 5 burner gas cooktop, movable island, wide plank floors throughout, heated bathroom floors, large storage and parking close to elevators. Canvas is approved for: Artist Studio - Class A. Canvas has a fully equipped Fitness Centre, Workshop and Community Gardens for all to share. 696 square feet and beautifully laid out.. Full 2-5-10 Warranty. Close to Main Street breweries, Olympic village and Dude Chilling park. Walk score of 98. Good living. JUST SOLD 1328 East 6th Avenue, Vancouver, BC. My client is European and was not impressed with the way a lot of buildings and homes were built here in Canada. We settled on a steel construction, 3 story half duplex that is built to last. This unique property has a garage, modern kitchen two bedrooms, two baths with one of them that has an indoor outdoor shower option. Bonus! Steps from The Drive and steps away from 11 breweries currently. JUST SOLD 516-37881 Cleveland Avenue, Squamish, BC. My client was interested in an investment property and being a Whistler Resident, Squamish made sense to him and I was happy to help. One bedroom plus den with these views will be a great lifestyle move. Longtime Squamish Couple Gets First Pick at the Main. JUST SOLD 619-37881 Cleveland Avenue, Squamish, BC. These clients really wanted to invest in Real Estate but was having a hard time getting in the door to make an offer but with careful planning and enduring the cold for a little while, they had first pick on the pre-sale of the "The Main". JUST SOLD 305-440 East 5th Avenue, Vancouver, BC. My client really wanted to be close to Main street and that's what he got. A sweet, well maintained one bedroom on the top floor with skylights to the stars. A hop skip and a jump to Main's finer breweries. Mission accomplished. A couple sets up roots in a new home just off the drive. JUST SOLD 1627 East 4th Avenue, Vancouver, BC. Land was what they were looking for and that is just what they got. This little heritage home with 1560 square feet, 4 bedroom, 2 bath was quiet charming. 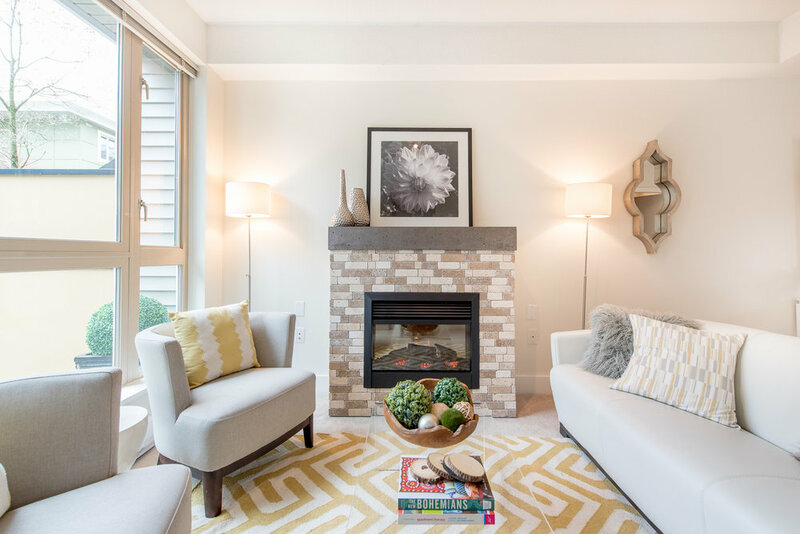 It comes with 9 foot ceilings and a beautiful working fireplace. A little TLC is all it was looking for and this dynamic duo had lots to give. Seconds off Commercial Drive with all of it's coffee shops and eclectic dining. Just what they ordered. JUST SOLD 103-East Kent Avenue, East Vancouver. (The River District) A hard working mom wanted a place to call her own and to stop moving around so much and we found her a little one bedroom plus den. 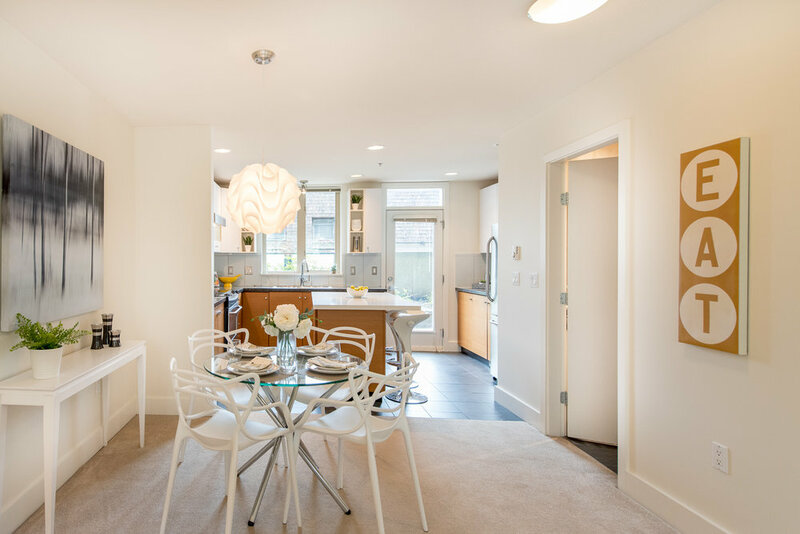 680 square feet, parking and only steps to parks and everything the River District has to offer. JUST SOLD 1102-66 Cordova St. Vancouver. This professional couple had a few checkboxes and we clicked them all. They are the proud owners of 2 bed, 2 baths, 800 square foot, 4-year-old apartment right downtown. 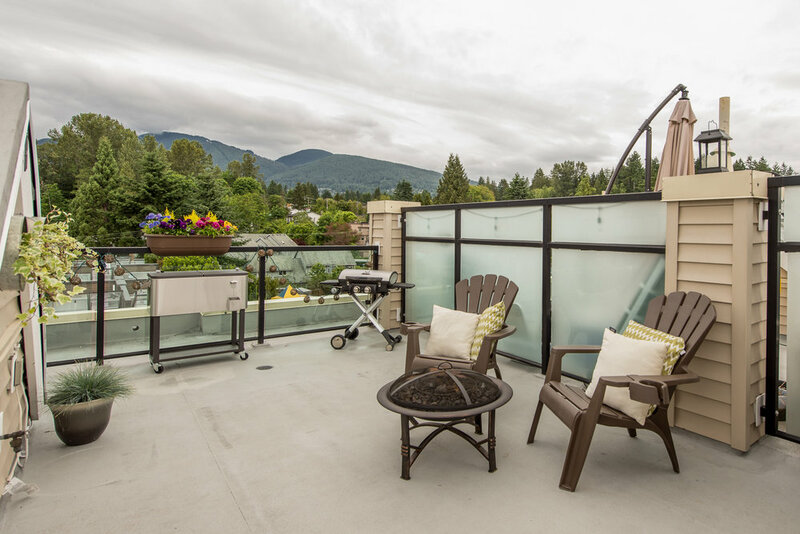 This beauty boasts an incredible view from a rooftop patio that has a 360-degree view including the North Shore mountains. They couldn't be happier. Newly renovated unit for this fine gentleman. JUST SOLD 214 - East 4th avenue, East Vancouver. This fine gentleman settled into a beautifully renovated 632 square foot, one bedroom. close to his work, close to the drive and especially close to the exploding micro brew scene in East Van. Yeast van welcomes him. JUST SOLD 203 - 5450 Empire Dr. Burnaby. (Just past the farthest of East Van). This family of three, purchased a 934 square foot 2 bedroom 2 bath that needed a little work. A little elbow grease to make it their own can be very satisfying and it was just what they were looking for. 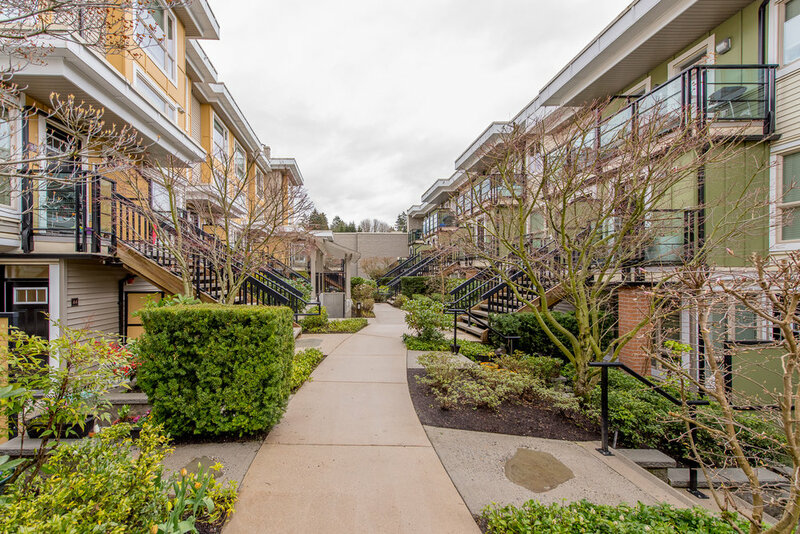 JUST SOLD 303 - 885 Salsbury Dr. East Vancouver (Off the Drive). This young lady purchased a 556 square foot 1 bedroom 1 bath that was ready to move in with a sweet rooftop deck just seconds from the Drive. Close to friends and easy access to the bike route. JUST SOLD 701 - 618 Abbott st. Vancouver, BC This three bedroom, two bath Penthouse with beauty views of Science World and a zen private park. 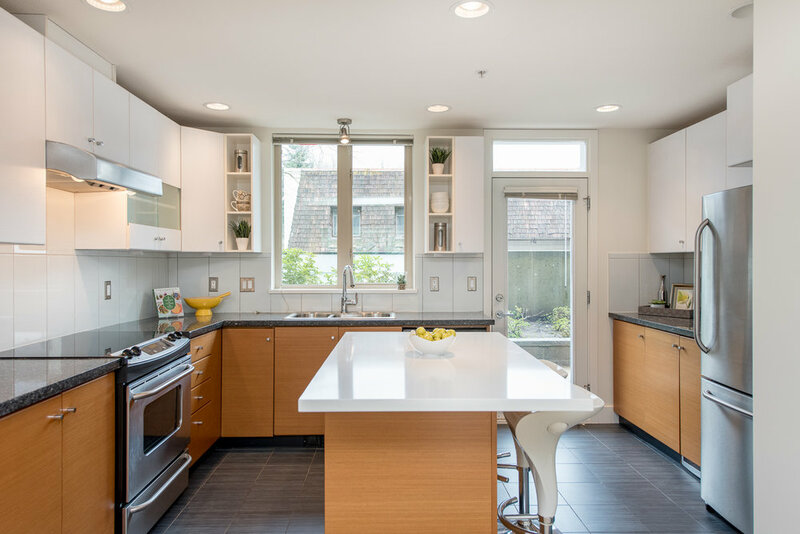 Custom kitchen and rooftop deck. This went to a professional couple looking for some downtown digs. "Pretty Sweet" was all they had to say.